Root word ‘bi’ means ‘two’. It is a Latin Root word. Another root which means two is di, which is a Greek root word. So, the commonly used word Bicycle is a vehicle moving on two wheels. Bi root word is commonly used for a lot in events related to the calendar. Biannual and biennial are two commonly confused words based on this root word Bi. Biannual means happening twice every year whereas Biennial means happening every two years. You should also remember the root word di along with the root word bi for example Carbon dioxide, or CO2, is a gas whose molecule has two oxygen atoms and to dissect something is to divide it into two. 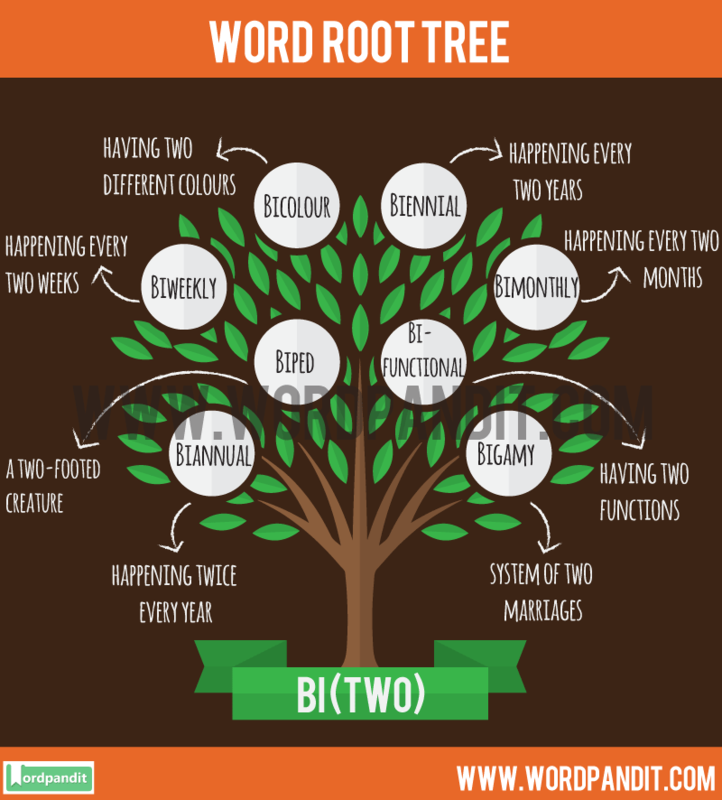 Hope you are able to learn some words related to Bi Root Word from this article. Remember, it is all about increasing your vocabulary and word roots is a wonderful method of learning multiple words at the same time.